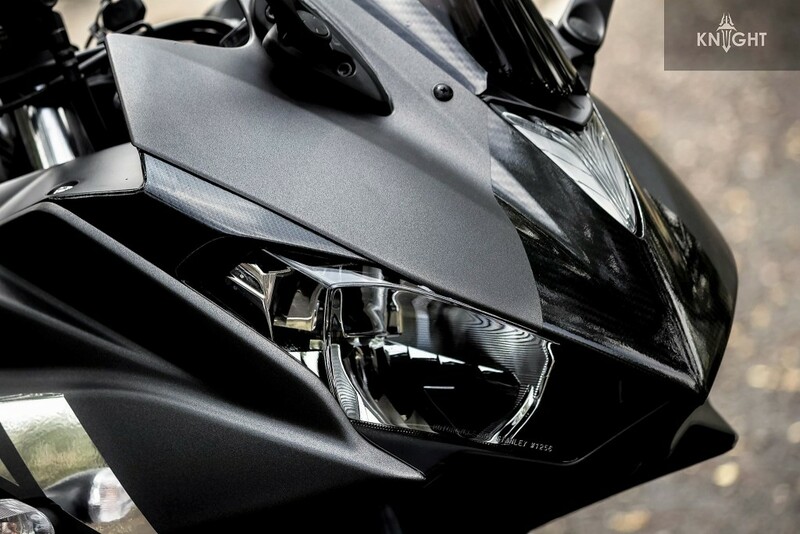 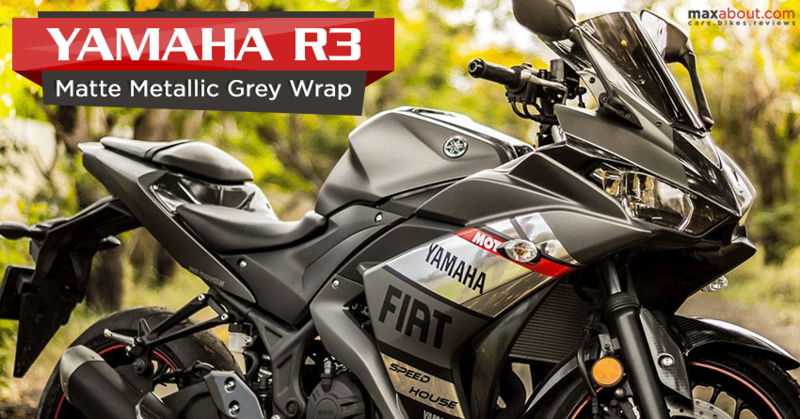 Yamaha R3 Matte Metallic Grey Edition: Knight Auto Customizer recently wrapped a Yamaha R3 in Metallic Grey and used Fiat gloss carbon fiber decals for exclusive highlights. 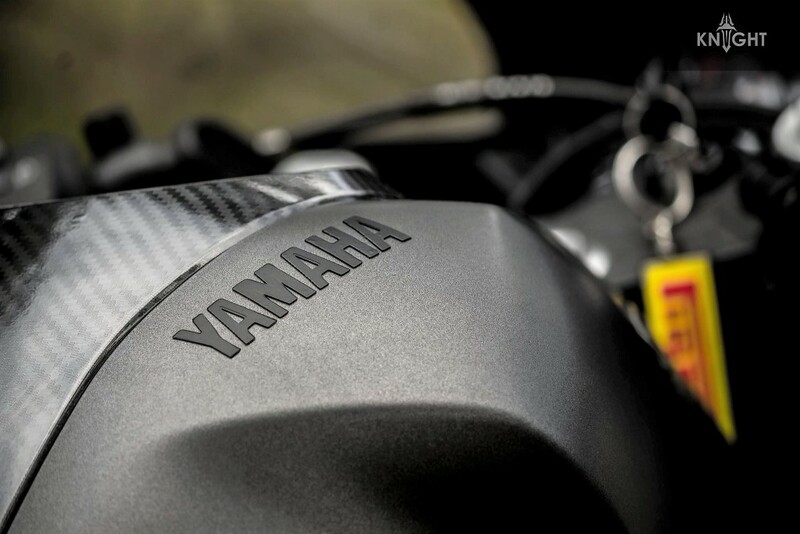 Yamaha’s exclusive design gets further highlighted with the selection of Matt Grey as the base shade. 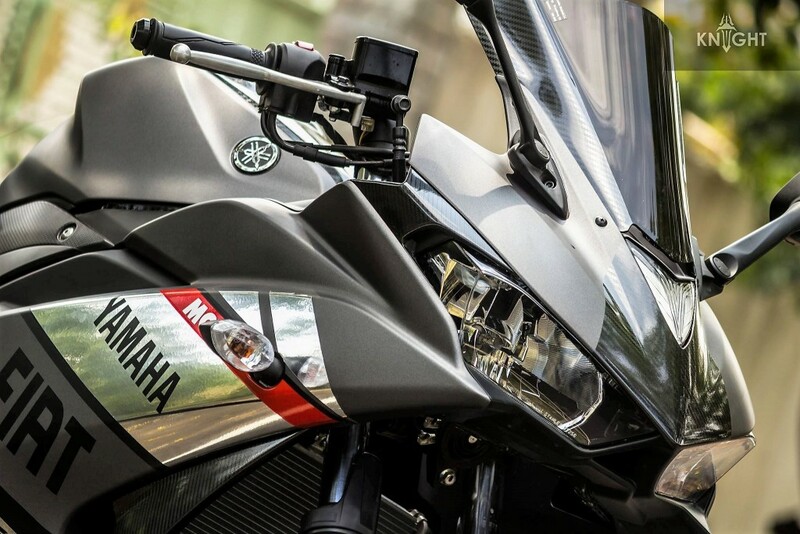 The motorcycle looks even mature in this livery, resembling a bit to the international spec 2018 shades from Yamaha itself. 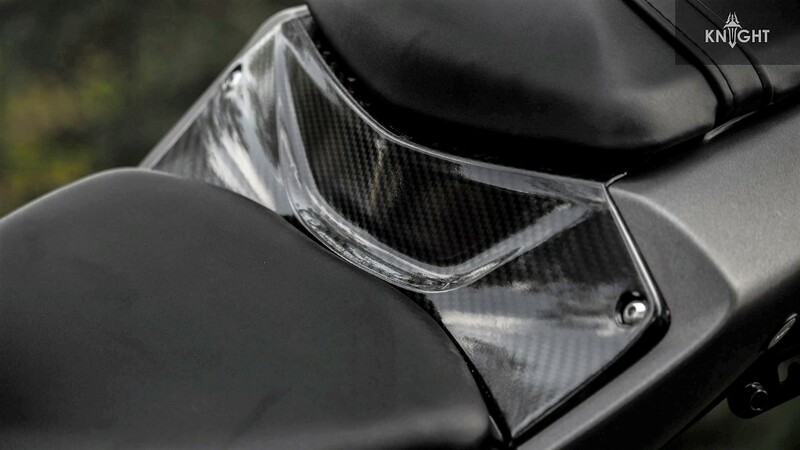 Knight Auto Customizer finished the windscreen in carbon fiber black while the center section of the tank even comes with the same shade. 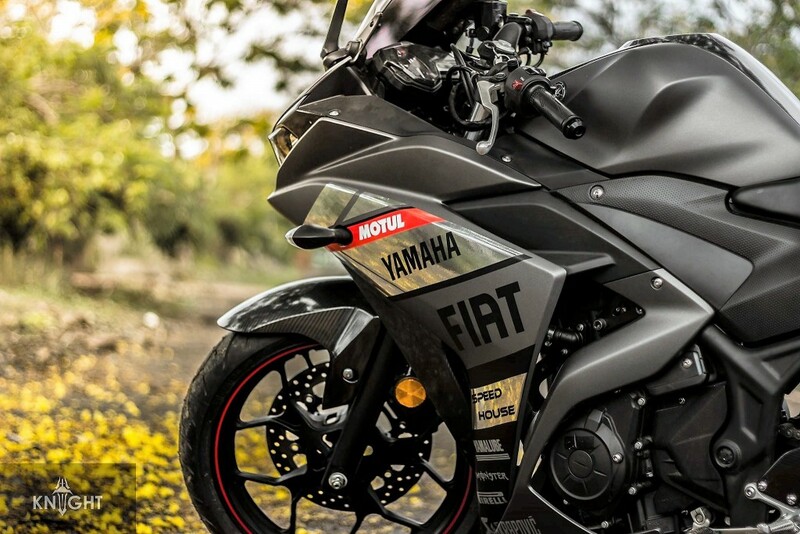 Yamaha logo is finished in Black while side fairing gets Fiat, Motul, Yamaha, Speed House, Yamalube, Monster, Akrapovic and Pirelli decals. 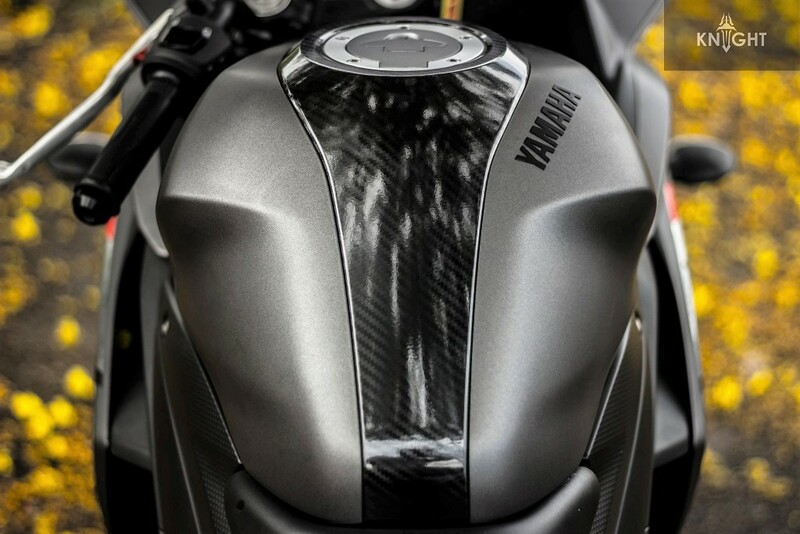 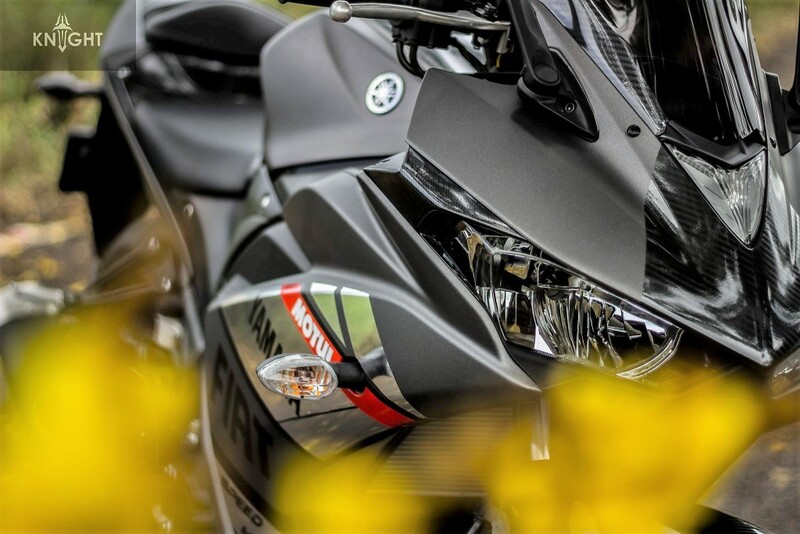 The use of shiny decals highlight the perfectly flowing fairing of the motorcycle. 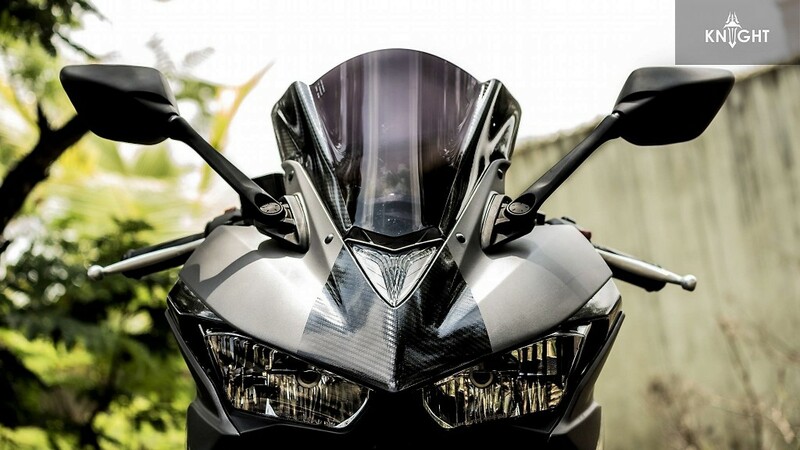 They have even highlighted the section between both the seats in carbon fiber. 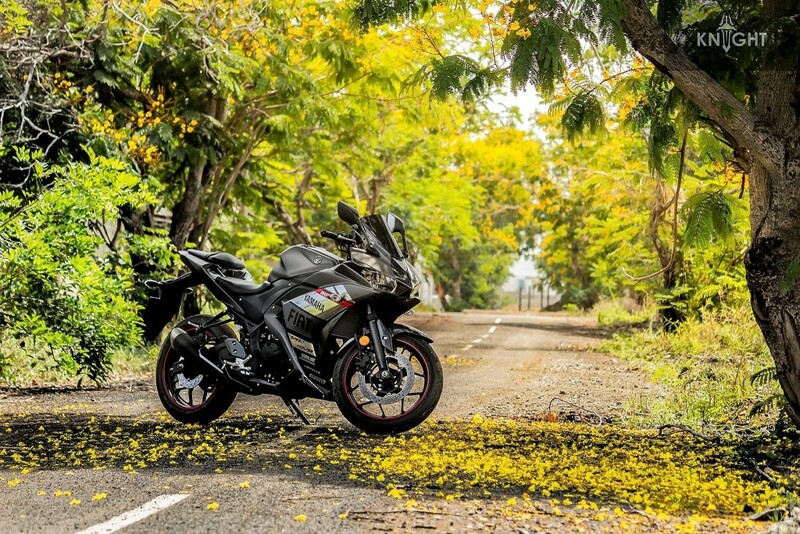 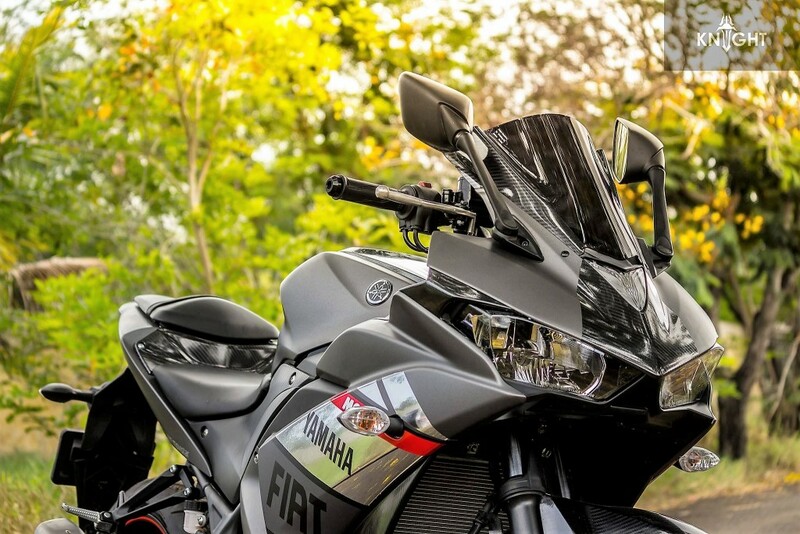 Yamaha R3 was pulled off from the official website in 2017 as it was brought in India as a CKD and was compliant with BS3 emission norms only. 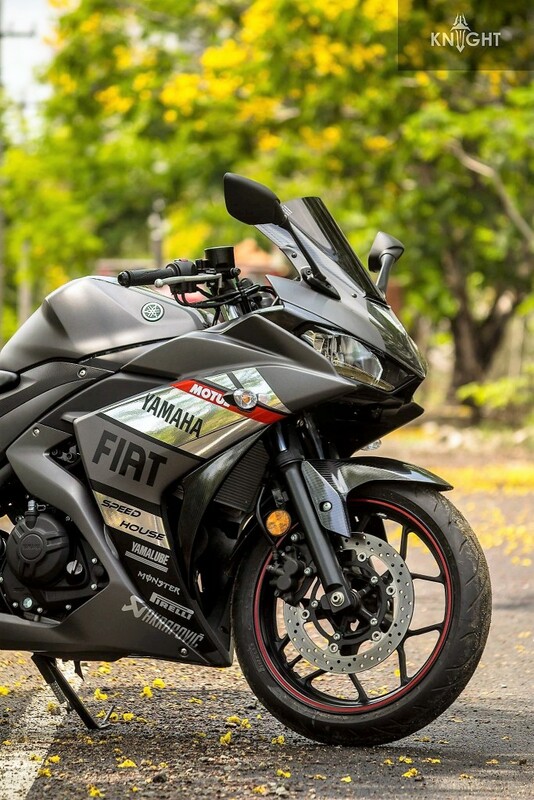 Yamaha relaunched the R3 in India with BS4 engine @ Auto Expo 2018 for INR 3.48 lakh (ex-showroom). 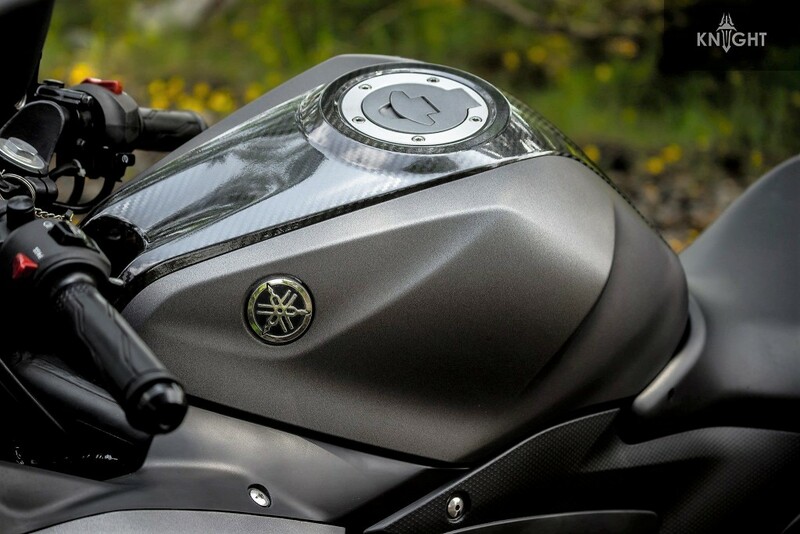 It now comes with 2-channel ABS and Metzeler tyres. 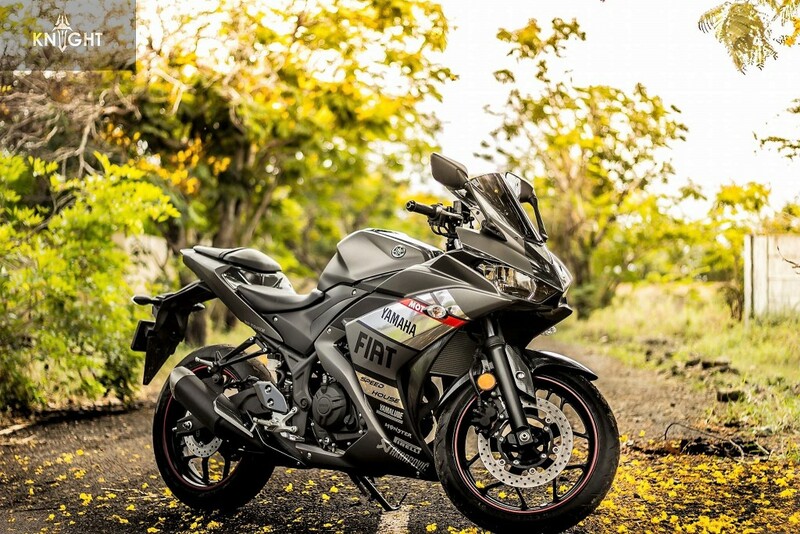 Address: #198, Village High Road, Behind Punjab National Bank, Sholinganallur, Chennai – 600 119.